Lets face it; there are probably thousands of companies out there that offer online reviews. This business, which has grown over the years, is premised on the fact that human beings tend to favor products and services that have been tried out and found satisfactory by their peers. So much for being pioneers! Star Ratings are a (usually), five star graphic depiction of the review process. The higher the stars that you can get for your products and services, the greater the appeal that it is going to have on your target audiences. Star Ratings and how you can get them are something that we have previously extensively talked about on this blog. So, we are not going to really go into that. You can easily find out more by reading the article in the provided link, along with many others. Okay, so, we have noted that there are plenty of online reviews companies floating out there, so, you can get away with choosing any of them, right? Wrong! The thing is, not all of the companies that collect reviews from your customers are going to be able to display them where it matters the most, in terms of growing your business. So, where does it matter the most as far as the visibility of your reviews is concerned? Getting Star Ratings in your AdWords ads is an important way through which you can make sure that your Ads stand out from within the crowd. Having the things that you are selling in Google PLAs show star ratings is another great way through which you can increase their appeal to your potential customers. You may also want to have Star Ratings shown on your pages in Organic Search Engine Result Pages. These little stars that appear in SERPs increase the chance that people are going to click on your pages. Your website is another place where you need to have star ratings appear; to boost the appeal for the various products and services that you are offering. All of these places, without doubt, are the quite important. 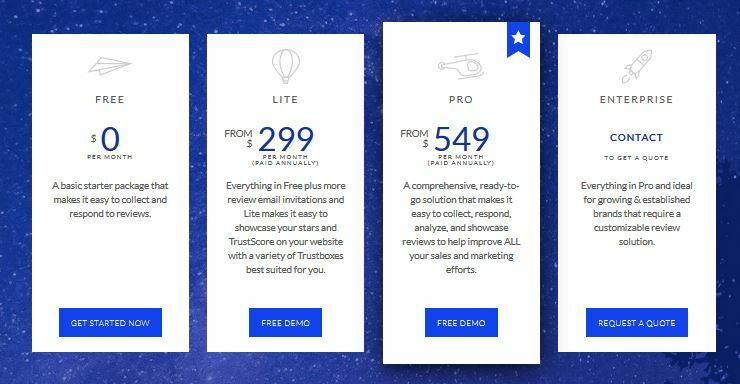 However, the last two; getting star ratings in organic traffic and on your own website can easily be done without having to resort to the services of a third party company. You can do it on your own, as we show in this article. Where it matters the most is to get Star Ratings in Google Shopping and in your Google AdWords ads, and not all of the online review companies that are out there will be able to do that. And, why is that, you may ask? The fact of the matter is that Google has two lists, one of which is made up of the companies that it has licensed to syndicate Product Ratings, and the other of which contains companies that have been licensed to syndicate Seller Ratings. We are not going to print the complete lists here, but you can check them out for yourself by following the provided links. 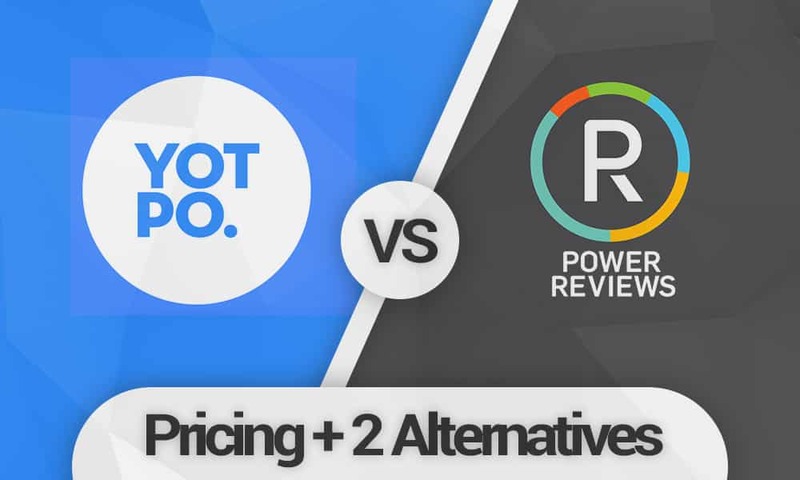 Now we come to the subject in our title, a comparison of Yotpo and PowerReview. How do these companies compare against one another? If you are looking to have your Seller and Product reviews aggregated, then these two companies are equally placed against one another, since they have been licenses by Google for both Seller and Product reviews. You can see that for yourself by checking out the lists that we provided at the top. This is something that, admittedly, can be worrisome to some people. The fact of the matter, though is that although Yotpo and PowerReviews have pages on their websites that are labeled “Plans,” these do not actually contain anything meaningful, as far as knowing how much their services are going to cost is concerned. Yotpo does state that pricing is going to be based on your monthly order volumes, your products, the number of domains that you have as well as your products. What this probably means in reality is that they will charge you more as your business grows, and if they think that you are a sufficiently big business. This none standardized pricing structure will probably see you paying different amounts every month. But, based on our research, the average that you can expect to pay with Yotpo is around $400. The issue that we have just raised above is one of the reasons why we recommend Shopper Approved to our readers who are looking for a Yotpo or PowerReviews alternative. The great thing about Shopper Approved is that it displays its prices on its website, and you know exactly what you are getting into before you even sign up with the company. This is probably one of the reason why it has grown to become one of the biggest Reviews companies that can be found out there. Shopper Approved’s Plans start and $199 per month, but you can get a discount by signing in using our link. Do that, and get an entry level plan that costs only $79 per month. Along with this MASSIVE reduction in price, you also get 60 days free, which is an improvement on the 30 days that are offered when signing up the normal way. Trustpilot is another Yotpo alternative that you can check out. Again, this company clearly displays its pricing, although it is a little more expensive than Shopper Approved. The least priced plan at Trustpilot costs $299.